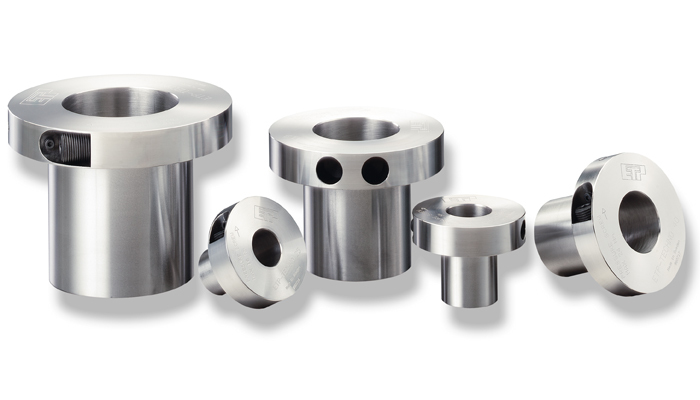 ETP-TECHNO consists of a double-walled hardened steel sleeve filled with a pressure medium, and a flange. The flange part contains the pressurizing mechanism, which consists of a screw and piston with double sealing function, an o-ring and a metallic seal with a steel ball, which is pressed against spherical a seating. The outer and inner diameter and the side of the flange towards the hub are accurately machined for extremely good concentricity. The pressurizing mechanism is designed for 1000´s of mountings. When the pressure screw is tightened the double-walled sleeve expands uniformly against the shaft and the hub thus creating a rigid joint. Dismantling of the joint is done by loosening the screw. ETP-TECHNO returns to its original measurements and can easily be dismantled. Fast mounting/dismantling. Only one screw needs to be tightened. Extremely good concentricity, also after several mountings. Can be mounted/dismantled 1000´ s of times. Possible to mount in tight spaces. 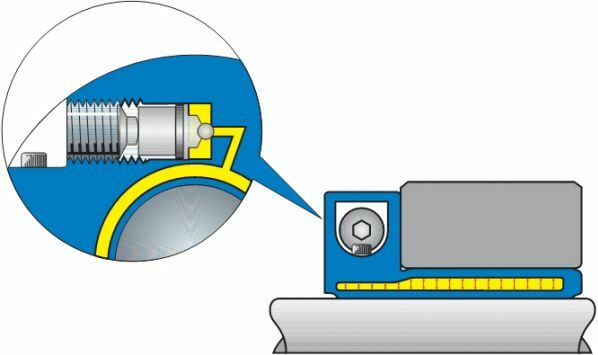 The pressure screw is tightened in the radial direction to the shaft. The hub can be adjusted easily and accurately. 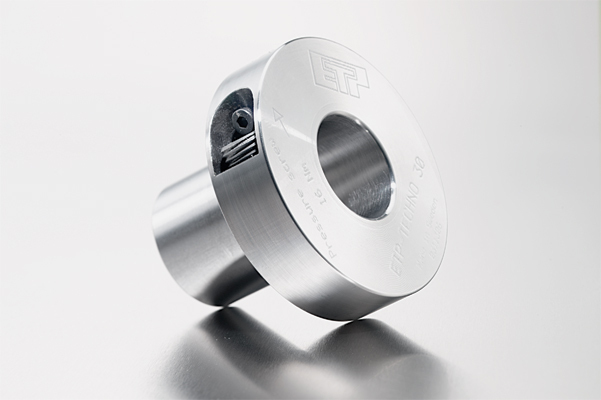 ETP-TECHNO has only one screw for pressurising, can be mounted 1´000 nds of times with unrivaled precision!